BLOOMINGTON, Minn. – Nov. 19, 2018 – Following Week 7 of the 2018-19 season, the men's Western Collegiate Hockey Association (WCHA) is proud to recognize five student-athletes as its Players of the Week. The honorees for games of Nov. 16-17, 2018 are: Minnesota State University sophomores Jared Spooner (Forward) and Connor Mackey (Defenseman), University of Alabama in Huntsville sophomore Mark Sinclair (Goaltender), and Lake Superior State University freshman forward Ashton Calder and Bowling Green State University freshman defenseman Will Cullen (Co-Rookies). Spooner accumulated a WCHA-best three goals and a league-high five points, helping No. 3 Minnesota State to a WCHA sweep of visiting Ferris State. The sophomore from Bismarck, N.D. had a one-goal, one-assist effort in Friday's 7-1 victory. He then scored the first two goals of Saturday's contest, later adding an assist in the Mavericks' 5-2 triumph. Spooner tied for second nationally with his three goals and tied for third with five points, while he also registered nine shots on goal and 17 faceoff wins on the weekend. This is Spooner's first WCHA weekly award of the 2018-19 season and his second career honor. Honorable Mention: Darien Craighead, Jr., Northern Michigan (scored the tie-breaking, game-winning goal with 1:15 remaining Saturday, lifting the Wildcats to a 2-1 victory over Alaska Anchorage); Diego Cuglietta, Sr., Lake Superior State (assisted on Friday's game-winning goal and scored during Saturday's contest, helping the now-No. 20 Lakers split at then-No. 10 Bowling Green); Frankie Melton, So., Ferris State (had a goal and an assist, along with a +1 rating during the Bulldogs' series at No. 3 Minnesota State). Mackey handed out a WCHA-best three assists, topped league defensemen with three points, was second with a +5 rating and added three blocked shots as No. 3 Minnesota State swept Ferris State in a weekend WCHA series. The sophomore from Tower Lakes, Ill. set a career high with three helpers and was +4 in Friday night's 7-1 victory, setting up the Mavericks' third, fourth and seventh goals. He then added a shot on goal and a +1 rating in Saturday's 5-2 triumph. Mackey's three assists tied for the second-most last week by a NCAA blueliner. This is Mackey's first career WCHA weekly award. Honorable Mention: Tony Bretzman, Sr., Northern Michigan (second among WCHA blueliners with two points, including the game-winning goal Friday as the Wildcats swept Alaska Anchorage); Cameron Clarke, Jr., Ferris State (had two assists and three shots on goal during the Bulldogs' series at No. 3 Minnesota State); Alec Rauhauser, Jr., Bowling Green (scored the first two Falcons goals Saturday, helping No. 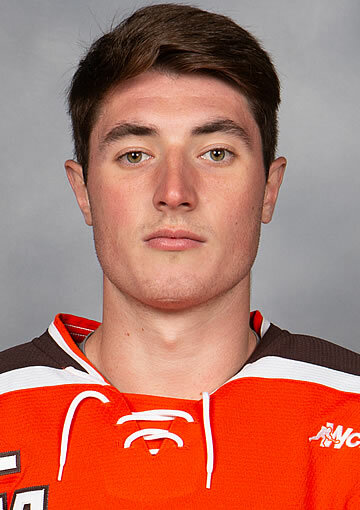 12/11 BGSU to a 5-2 win and split with Lake Superior State); Collin Saccoman, Jr., Lake Superior State (collected one goal, one assist, five blocked shots and a +2 rating as the now-No. 20 Lakers earned a road split at then-No. 10 Bowling Green); John Teets, Sr., Alabama Huntsville (picked up two assists, including one on Friday's game-winner, and helped the Chargers hold Alaska without a power-play goal in 10 chances as UAH split in Fairbanks). Sinclair played in just one game and was spectacular in stopping 44-of-45 shots in Alabama Huntsville's 3-1 road win Friday at Alaska. While his 44 saves were a single-game high for an NCAA netminder last weekend, the win was the first of the season for UAH and the first of the sophomore's career. The Chargers were outshot 45-20 in the contest, but Sinclair guided them to victory with 13 saves in the first period, 11 in the second and 20 more in the final stanza. 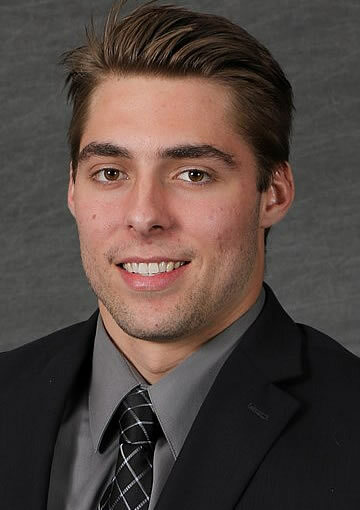 The Dundas, Ontario native blanked the Nanooks over the game's final 45:18 for his first career WCHA weekly award. Honorable Mention: Mathias Israelsson, Sr., Minnesota State (improved to a perfect 6-0-0 this season, with 41 stops, a .932 save percentage and a 1.50 goals-against average during the third-ranked Mavericks sweep of Ferris State); Nick Kossoff, Jr., Lake Superior State (stopped all 30 shots faced in his lone start Friday, blanking then-No. 10 Bowling Green in a 5-0 victory for the now-No. 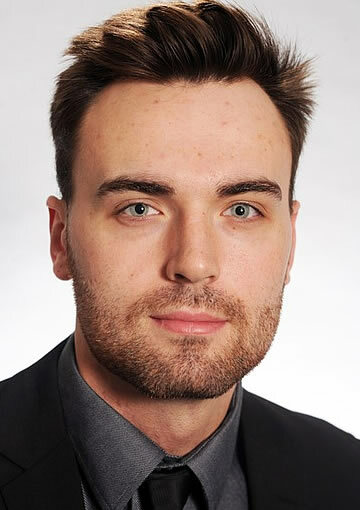 20 Lakers); Atte Tolvanen, Sr., Northern Michigan (moved into sole possession of second in the NMU record books with his 11th career shutout Friday, while topping WCHA goalies that made two starts with a 0.50 goals-against average and .975 save percentage in the Wildcats' sweep of Alaska Anchorage). Playing for his hometown Lakers, Calder's first collegiate goal and point was extra-special, as he netted the game-winning marker in Lake Superior State's 5-0 road win last Friday at then-No. 10 Bowling Green. The freshman from Sault Ste. Marie, Mich. lit the lamp 15:29 into the contest, giving the Lakers a 1-0 lead they would not relinquish (adding a goal in the second period and three more in the final stanza). Saturday night, Calder tallied his first collegiate assist on LSSU's first goal of the game, which tied the contest at 1-1. Calder's one goal, one game-winning goal and two points last weekend all tied for the WCHA rookie lead, while helping the No. 20 Lakers jump into the USCHO.com poll for the first time since Nov. 7, 2016. This is Calder's first career WCHA weekly award. In his first game back after missing the previous eight due to injury, Cullen scored the game-winning goal and added an assist during the third period of No. 12/11 Bowling Green's 5-2 victory Saturday over Lake Superior State. The freshman from Pelham Manor, N.Y. lit the lamp for the first time in his collegiate career, scoring at 8:44 of the final stanza to snap a 2-2 tie. 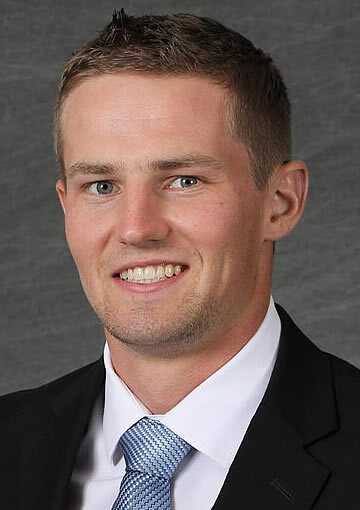 He then connected with fellow freshman Taylor Schneider for a goal to put the Falcons ahead 4-2 with 3:45 remaining in regulation. This is the first career WCHA weekly award for Cullen, who tied for the league rookie lead last weekend with his one goal, one game-winning goal and two points. 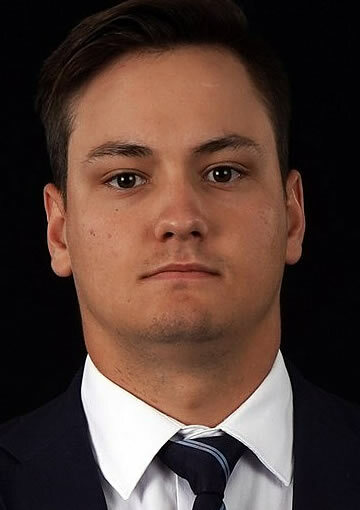 Honorable Mention: Vincent de May, F, Northern Michigan (scored his first collegiate goal Friday, helping the Wildcats to a 3-0 win and sweep of Alaska Anchorage); Julian Napravnik, F, Minnesota State (had two assists, five shots on goal and a +2 rating, helping the No. 3 Mavericks sweep Ferris State); Bauer Neudecker, F, Alabama Huntsville (first collegiate goal was the game-winner in the Chargers' first victory of the season, 3-1 Friday at Alaska).